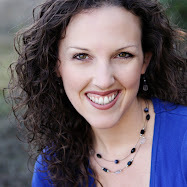 This morning I was working on a class for the Power of Moms Retreat coming up on June 11th. Saren and I will be team-teaching a session called "Taking Care of the Person Inside the Mom," and we're dividing it up into spiritual, physical, and mental aspects of "personhood." One quotation we are going to discuss is by Adlin Sinclair: "You are the embodiment of the information you choose to accept and act upon. To change your circumstances you need to change your thinking and subsequent actions." Sometimes changing our circumstances doesn't mean becoming more wealthy, more talented, more involved in the community, or more like all the people we admire (in the possessions we acquire, the clothes we wear, the causes we support, etc.). Sometimes the best way to change our circumstances is to change the way we look at our lives and to finally begin to see things clearly. "There is SO much that we as moms need to do right? Right now, I am stressing over my three-month supply, mind organization for mothers, house cleaning, decluttering, exercise, cooking, the list could go on and on and on. I want to be a mom that can do it all. Sometimes I think that I should and could do it all. "In my sane mind, I can see that doing it all is not possible all the time. Sure, I hope to come home with some better ideas on how to do some of the important things we need to accomplish. But today I had the thought that what I hope to get out of this retreat is that I am who I am, and I need to learn how to be happy with that. I love my children, I love being a mom, I love my husband, I have a good life, and I want to enjoy it. I don't want to be "trying" so hard all the time. "So the question on my mind is this... How can I learn to be content and enjoy my life? "I'm not one that strives for mediocracy, or is happy just living. I'm constantly pushing my limits, trying to do better, trying to learn how to be better, trying to be like this person or having what this mom has. I truly do like setting goals, and trying to improve. But seriously, should life be full of pushing ourselves? Or is there a line and a balance of trying, but not trying so hard we end up being discouraged?" This email struck such a chord with me because I have felt this way so many times. I know that progression is essential to life, but it absolutely must be balanced with having joy. My husband frequently reminds me of two scriptures that teach us to be anxiously engaged in a good cause without running faster than we have strength. 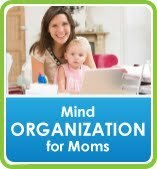 In fact, the whole reason I'm so excited about Mind Organization for Moms is because it is the first system that has actually allowed me to move forward with my goals without feeling stressed out. But I'm still not a master at seeing my life clearly. Back to that quotation by Sinclair, we ARE the embodiment of the information we choose to accept and act upon. My mother taught this to me beautifully the other day. I visited her at the hospital for a couple of hours while she was recovering from a knee replacement surgery, and she was asking me how I was doing (that's just like my mom...asking ME how I am while SHE'S in the hospital bed). I opened my heart to her and said, "Mom, I'm trying so hard, but I feel like I'm failing so often. Like today...I had these great intentions of teaching my girls piano lessons and playing with the children after school, and then I felt so tired, I just collapsed on the couch and cat-napped while they played with the train set and took turns on the computer." My mom looked me in the eye and said, "April, you don't really believe you're failing, do you?" "Well, yes, sometimes I do." And then she said those words that I was aching to hear, "You must not listen to that negative voice for one minute. If you sit still, you'll hear another voice--a more powerful voice--telling you that you are doing a wonderful job." She continued her pep talk for a couple more minutes, and I said, "Mom, I need a tape recorder of you telling me that." To which she replied, "No, you don't need a tape recorder. You KNOW this. It's in your heart. It's inside you from everything you have been taught. It's everything that you are." I couldn't stop the tears as I walked out to the hospital parking lot that evening. She's right. In spite of all the voices that are out there telling mothers that we're not doing enough or being enough, there is a quiet, more powerful, more accurate voice that helps us to see our lives clearly. It helps us to know what we need to improve, but it isn't a harsh, critical voice. It is one that sees us as who we really are and who we're meant to be, and it is THAT voice that I am going to accept and act upon. It breaks my heart to think of so many moms (including myself) who get so confused by the whirlwind of life that they forget how needed they are, how important they are, and how irreplaceable they are...just the WAY they are. I think it's time for all of us to start seeing things clearly. The other day, I was helping my son pack for his first grade field trip to the tide pools. 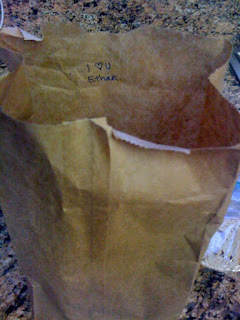 We got his sack lunch together, and I asked, "Would it be okay if I wrote 'I love you' on the front of the bag?" My son got a concerned look on his face and said, "No. Everyone will laugh." Then he brightened and said, "But you can write it on the inside!" What's the first thing that goes through your head when you wake up in the morning? "Someone needs a diaper change!" (That's what I'm always thinking....) But I've learned a better way. Click here for a great video that has been my inspiration. Now I put on a big smile, do a little dance, and say, "I love my family! I love my house. 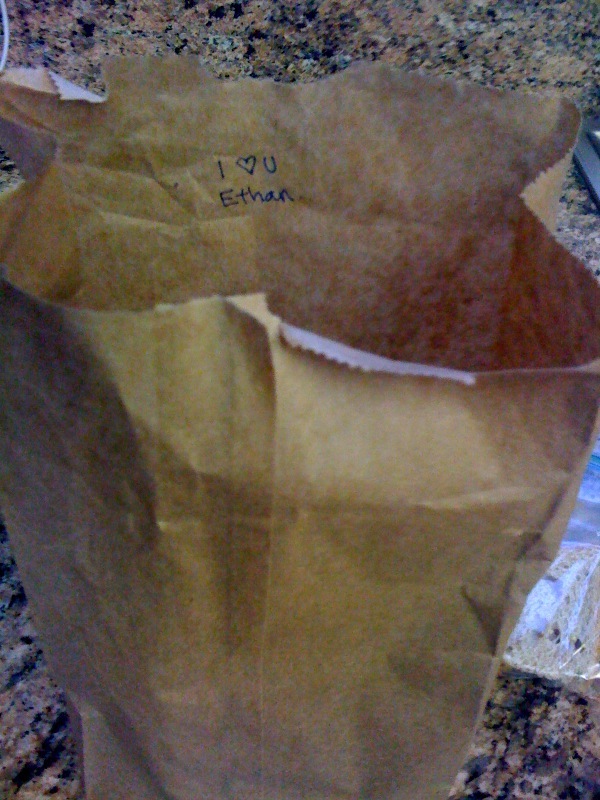 I love my husband. I love my children. I love my website. I love my friends. I love my church. I love EVERYTHING!" And you know what? Somehow that makes the day start out just right. It's three o'clock, and I JUST showered. I've been up since 5:30 with Spencer, but with all the before-school chaos, the household work, the non-negotiable spiritual study time, computer work, and the constant chattering of my two-year-old, a shower is a luxury. "Will you open this new toy I got for my birthday? Here. You can proofread the thank you notes I wrote to my friends." "Will you PLEASE call the radio station and dedicate a song to us?" "I forgot my homework again." "I want some stash-ee-ohs" (pistachios). "Can we make a smoothie?" "I can't find my shorts" (so the basket of clean laundry gets turned upside down to look for them). "What do I do about this person at school who keeps copying off my papers?" My family is made up of my best friends. Yes, they need me all the time, but I thrive on their questions, their ideas, their kisses, and their awesome dance moves. I think it's all right, however, to acknowledge that every hour is not blissful. I've been burning the candle at both ends for the past few days, so I'm more tired than usual. My bedroom is harboring 30 boxes of office supplies that need to be sorted, school is getting out in one month, and I haven't volunteered in the classroom once, our closets are begging to be de-junked, and I haven't even thought about which activities my children would like to do this fall. The Power of Moms is growing like crazy, and I have a zillion ideas I want to implement there, but I am learning that I have to be patient and put first things first (Mind Organization for Moms has been a HUGE help for me in this area). It's natural for mothers to want everything to be perfectly pulled together all the time, but even when we're totally organized, totally healthy, and totally focused, life is not going to be perfect. If you're having a rough time right now, you're not alone. Let's take a deep breath together, jump back into this incredible process of raising children, and try to do the very best we can. The work we're doing really does matter. I just finished writing an article about how life is like Candyland. And then to celebrate, my son and I ate licorice together (he calls it "lick-a-dish"). Fun, fun memories, but boy, am I tired. Keeping up with this two-year-old is completely maxing me out. Fortunately, it's nap time! This photograph has had a huge impact on me this week. My new friend Catherine Arveseth (who I can't wait to meet someday) wrote a beautiful essay on The Power of Moms called "Say Yes." Can you guess what she "said yes to" in the photo above? I've been working on "saying no" lately--so I won't completely overschedule myself and end up as an exhausted tyrant at the end of the day, but Catherine's beautiful essay reminded me that there are lots of things to which I can respond with a big, huge YES! Usually it's something like, "Can we drink this with a straw?" or "Will you put these shorts on your head and wear them as a hat?" Yesterday we made an extra trip to the store because my girls were DYING to buy little presents for their grandma's birthday (She's got a green teddy bear and some chapstick coming her way). Saying yes does feel good. It reminds me how exciting the world felt when I was a child and gives me a chance to give my children the experiences they'll remember forever. Thanks, Catherine! I'm so excited about this blog, and I'm taking copious notes on all the things I want to record, but today my two-year-old is in charge, and he isn't in the mood to blog. Gotta love being a mom! Writing my first post on this blog reminds me of cracking open a brand new journal, leafing through the pages, and wondering what's going to fill them. I LOVE that feeling of endless possibilities--some I can control, most I can't. 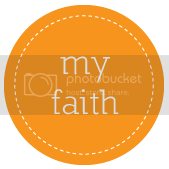 This blog is where I plan to record how "the power of a family" affects my life. I've been working on creating/building/running The Power of Moms for more than three years now, and while it's been a great outlet to write essays, articles, etc. on the website, I haven't had anywhere to share what I'm learning along the way, so this is it. I know some people wonder why a blog is necessary at all. One friend of mine said that bloggers remind her of the popular girls in high school who miss having a "following." I think pride can certainly be an issue with blogs, where "popularity" is so measurable, so I'm doing my best to watch out for that and write with only the best intentions. I do, however, think that blogs are an incredible way to share your experiences with others and let your highs and lows benefit your peers and generations to come. I know that MY life has been changed for the better as I've read others' blogs, and my hope is that the time I invest in creating this record will be a benefit to those who read it. How my family brings me joy (and sometimes craziness...most days are a whirlwind of activity with a few random "Hallmark" moments thrown in). How I'm applying what I'm learning from The Power of Moms into my own family (along with some behind-the-scenes details regarding what it takes to make this website work). What is hard. There's a tendency to share our best moments with the blogosphere, but I think moms need to see that everyone has a hard time. I have no doubt that I'm going to have lots of hard days ahead of me, so I'll blog about those, too. Ideas that strengthen me. I am constantly looking for powerful ideas that impact the way I think and act. When I find them, I'll share! Families are powerful. They require a LOT of work, they fill up your heart, they stretch you to your limits, and they are packed with symbolic, essential life lessons. I adore my family, and I want to be better for them. I don't have a problem admitting I'm not perfect. I struggle every day with my weaknesses, but when I look at my life and REALLY examine what I'm doing with my time and energy, there's nothing that matters more than family. Thanks for joining me. I look forward to getting to know you!